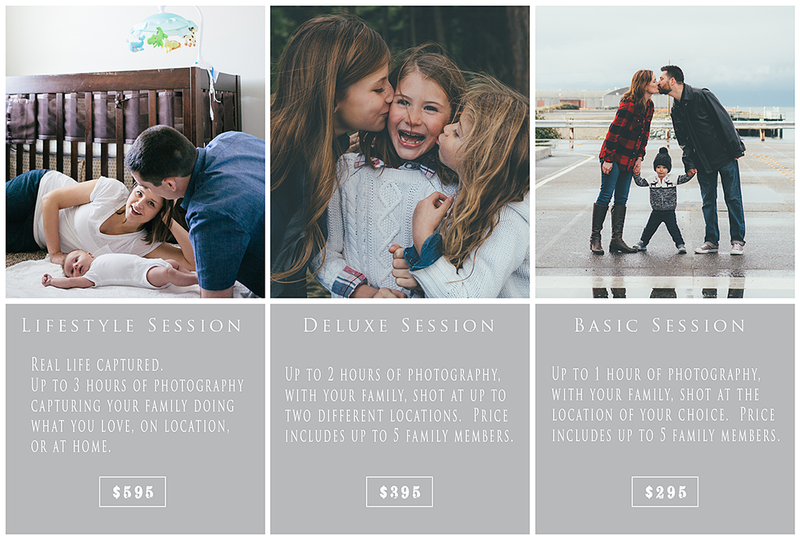 Family Portrait Sessions start at just $295.00. All sessions always include the best images from our time together, fully edited and delivered in digital format with print rights and rights to use any images from the session on your social media pages. Please note that there is an additional $25 per person fee for groups larger than five. HEAD SHOT SESSIONS are also available. Please email me at sheilacarsonphotography@gmail.com to find out more. When it comes to family photo shoots, think coordinating not matching. I always recommend items with a strong color and texture (ie, knits, ruffles, denim). It’s good to pick items for everyone in the family that flow well together, without being identical.